Iron Mag Labs gives you one of the strongest prohormone on the current legal market : M-Sten RX. 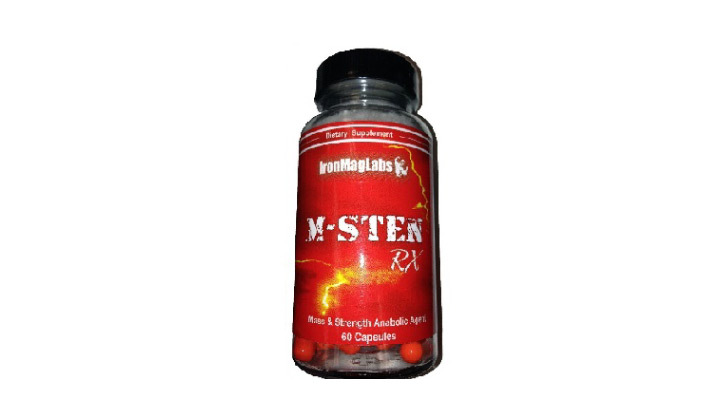 M-Sten RX contains 2,17a-dimethyl-17b-hydroxy-5a-androst-1-en-3-one (MethylStenbolone – 10 mg per pill) which a very potent prohormone similar to Superdrol ! Moreover, the Methyl Sten prohormones do not convert into estrogen so no wet gains here but great lean muscle size gains ! Especially designed for bulking cycle, you can also take M-Sten RX for a recomp or cutting cycle if you have a clean diet. Please be aware, M-Sten RX is a methylated prohormone that can be “hard” on the body so it’s for advanced users only ! Where to buy M-Sten RX – Iron Mag Labs ? M-Sten RX is no longer available on the market. We recommend you to read our article about the best prohormones of 2019. Want to share your review for M-Sten RX – Iron Mag Labs ?